The panel featured Julián Adem Díaz de León, a representative from the Mexican government’s Department of Protection; Paul Beeson, a Chief Patrol Agent for the U.S. Office of Border Patrol; María Dolores París Pombo, a Professor at the Colegio de la Frontera Norte in Tijuana and Maureen Meyer, a Senior Associate for Mexico and Central America at the Washington Office on Latin America. The panelists represented a range of perspectives and opinions on the issue of the U.S. – Mexico border and migrant populations, however one must also consider the broad and critical viewpoint that such an important and contentious topic deserves. The security buildup on the Mexican border over the last ten years has been a wasteful, destructive and overly simplistic solution to a systemic problem. Furthermore, the current immigration issues that the United States faces is largely due to its own policies — a fact that when considered, sheds light on the enormity of the wastefulness of the border security project. During her presentation, panelist Maureen Meyer cited the Associated Press with the estimation that about $90 billion dollars has been spent on securing the United States’ southern border since 2001. A coalition of experts and human rights-based border organizations estimated that the border wall — a project approved by U.S. Congress in 2006 — has cost an estimated $60 billion to build and maintain alone (Border Network 29). The rest of that money has gone to increased border patrols and military personnel along the border, more advanced surveillance technology both “fixed and mobile” to track down migrants and a more complex identification infrastructure to identify illegal migrants, according to panelists Maureen Meyer and Paul Beeson. According to Beeson, the amount of U.S. border guards has increased from 2,500 to 21,000 from when he joined the Office of Border Patrol in 1985 to 2011, 18,000 of which are stationed along the southern border. If the lens is narrowed however, an even starker statistic emerges: Since 1994, which is the same year that the North American Free Trade Agreement (NAFTA) was signed into law, the amount of border patrol agents that are deployed along the United States’ borders has increased from 4,000 to 21,000 (Border Network 16). The exponential increase in patrol agents along the United States’ southern border has been coupled with a massive deployment of National Guards along the border to crackdown on illegal immigrants from the south. In May 2006, President George W. Bush deployed 6,000 National Guards along the border, who are not accountable to local law enforcement jurisdictions (Border Network 13). 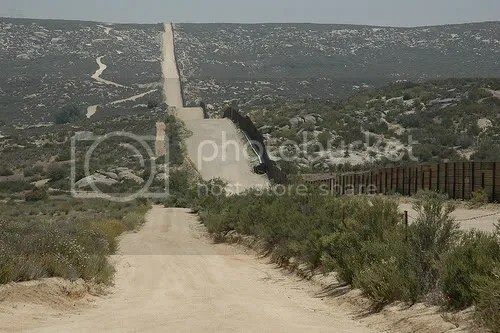 According to Ms. Meyer, the Obama administration has maintained the military presence on the border, which has cost about $145 million between July 2010 and December 2011. These unprecedented security measures — while not at all justified — are a response to a dire economic situation in Mexico largely caused by policies of the United States. When NAFTA, an agreement that removed trade barriers and promoted free market trade between Canada, U.S. and Mexico was implemented in 1994, the Mexican economy was flooded with cheap imports — namely corn and pork — produced in industrial farms in the United States that put an estimated 20,000 Mexican pork farmers out of work alone according to the general director of the Confederation of Mexican Pork Producers, as cited in David Bacon’s article for The Nation. The effects of NAFTA on the Mexican economy have been devastating; American companies have more or less taken over the agricultural sector of Mexico’s economy and have simultaneously taken land from small-scale and subsistence farmers that rely on it for their livelihoods. According to the World Bank, as also cited in Bacon’s piece, the extreme rural poverty rate in Mexico ballooned from 35 percent in 1992-4 to 55 percent in 1996-8. The 9/11 terrorist attacks and the subsequent War on Terror allowed the U.S. government to militarize the Mexican border and to treat the civil pressure of immigration as criminal activity and a threat to national security; a policy that makes even less sense today in the wake of the financial crisis and falling public budgets. Panelist María Dolores París Pombo explained the incredible dangers that migrants face when crossing the border, including heat stroke, dehydration, kidnap and sexual abuse — especially with the new security infrastructure along the border, but she still did not address the situation comprehensively and holistically. Illegal immigration into the United States is a public policy issue that should be dealt with, but human rights, ecological concerns and the interests of border communities and migrants must be taken into account. In order to do this, the causes of the situation must be considered and not ignored. “NAFTA.” Duke Law. Duke University. Web. 25 Jan. 2012. “Obama’s Border Fence.” NOW on PBS. PBS, 3 July 2009. Web. 24 Jan. 2012. Image courtesy of Flickr user Qubac. Thank you for giving me new insight on the negatives of NAFTA. I never realized or thought about it as a contributor to the immigrations problem. I would like to write a more in-depth piece exploring the U.S.-Mexico Border region and migrant populations from Mexico in the future, but this was just basically a response to the panel discussion that I attended.